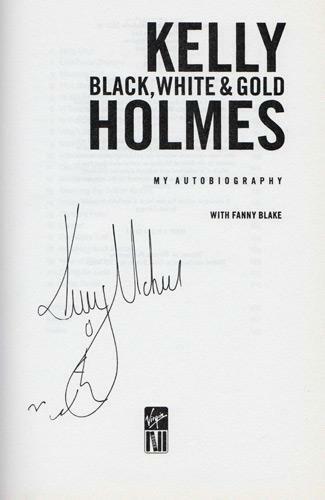 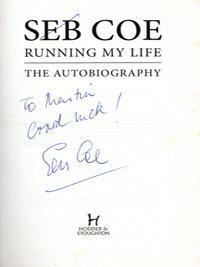 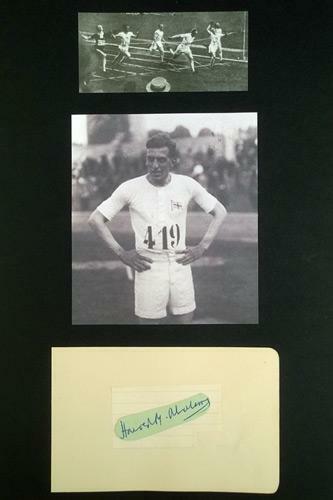 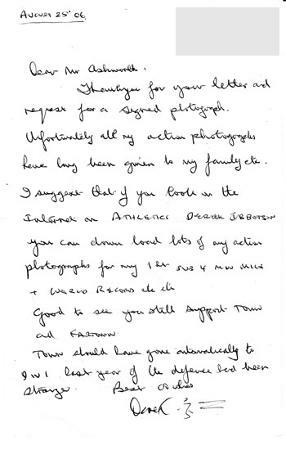 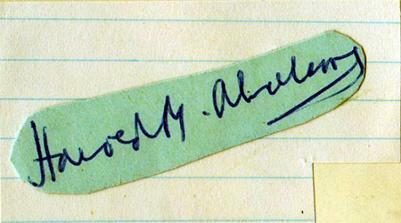 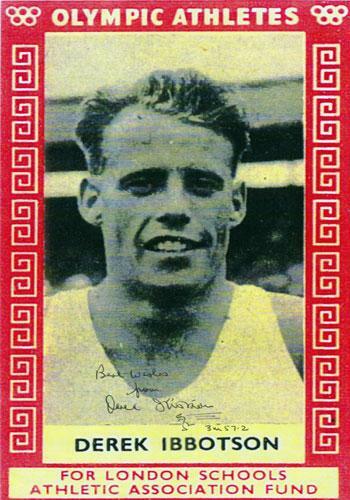 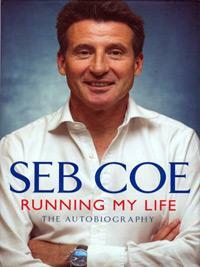 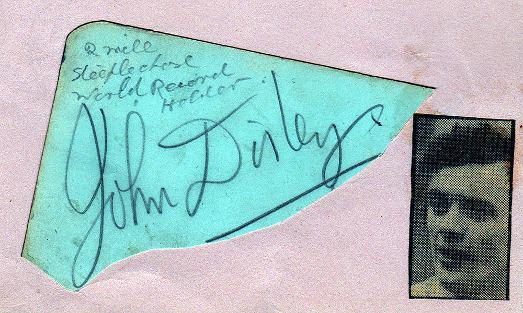 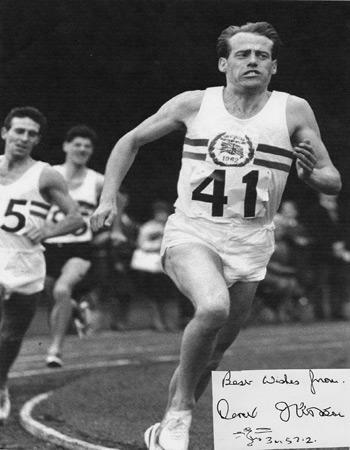 Autograph 1924 Olympics Games 100 metres gold medal winning performance (immortalised in the film "Chariots of Fire". 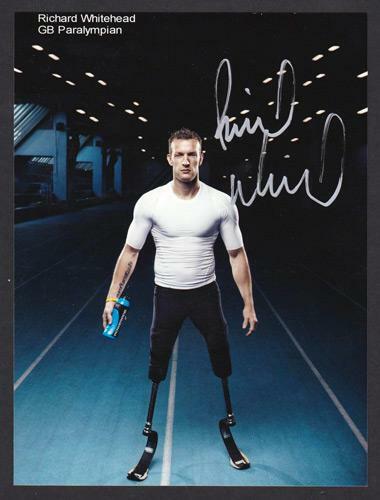 Signed London 2012 Olympics MoBot photo. 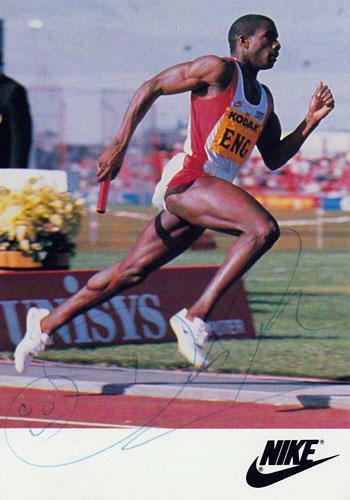 (1984 L.A. Olympics 1500m victory lap). 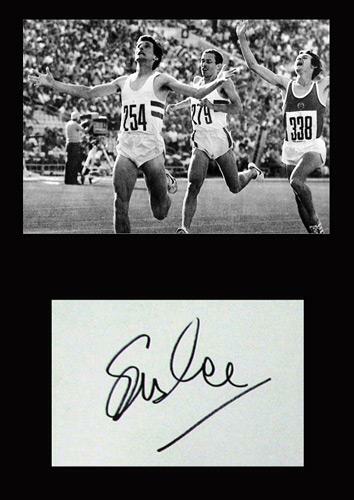 Signed 1984 Los Angeles Olympics 1500m final. 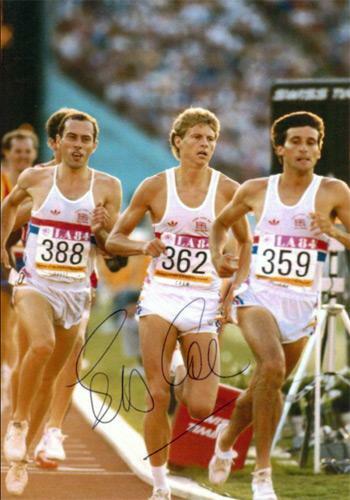 (Final lap action shot ahead of Cram & Ovett). 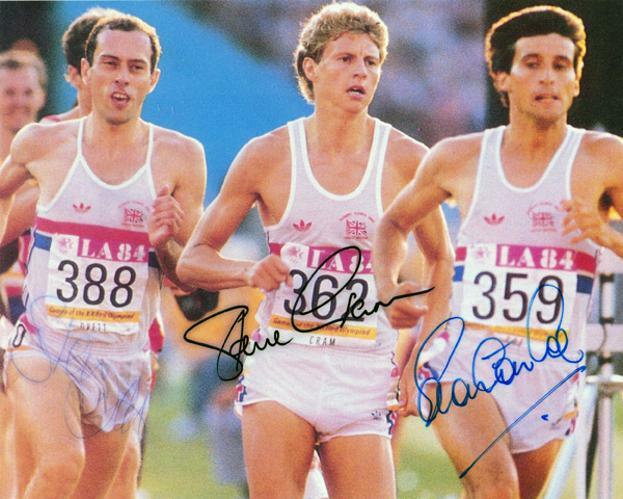 1500 metres final photo montage. 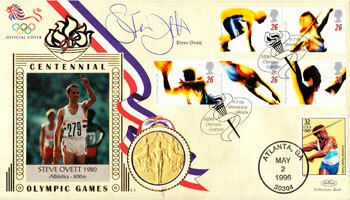 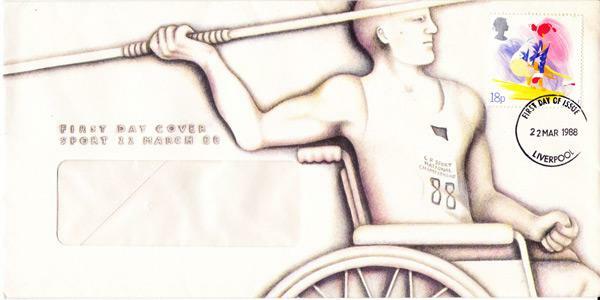 Signed 1996 Atlanta Olympics First Day Cover with 1984 Los Angeles Olympics photo image of Ovett & Olympic stamps. 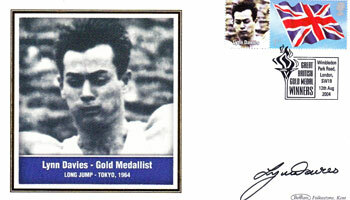 Approx size: 8.5" x 6"
dedicated to "Action for Youth 2006"
with photo image & stamp of Davies. 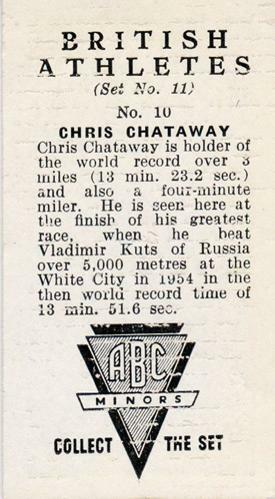 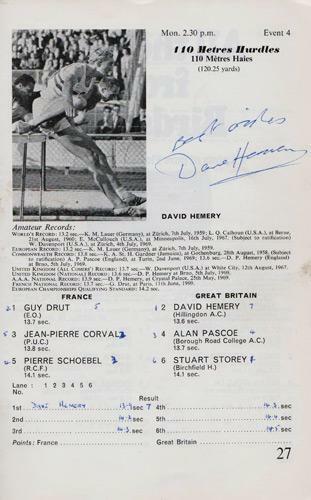 Signed 110 meters hurdles page with photo in 1969 Great Britain v France Athletics meeting programme. 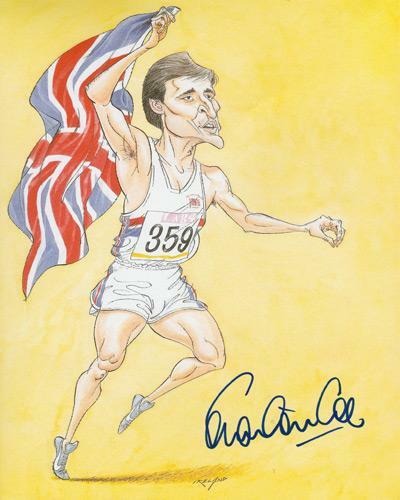 Cover also signed by GB High Jumper Crawford William (CW) Fairbrother. 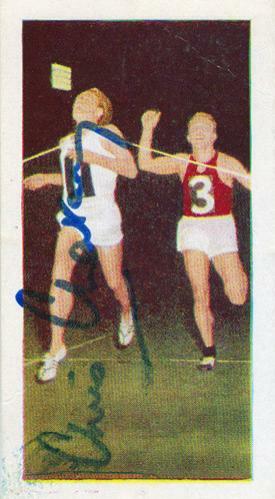 Rare / signed cigarette card. 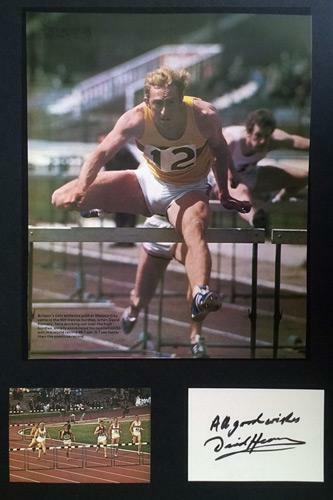 Autograph montage in training and the 1968 Mexico Olympics 400m hurdles final. 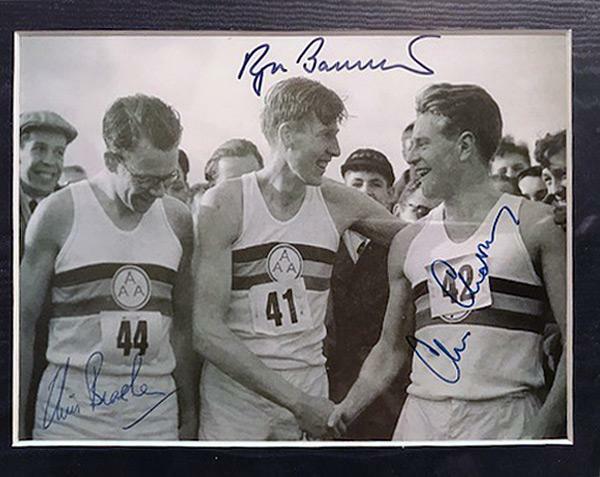 Rare / signed action picture from the gold medal race. 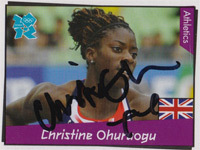 Signed official London 2012 Olympic GB&NI card. 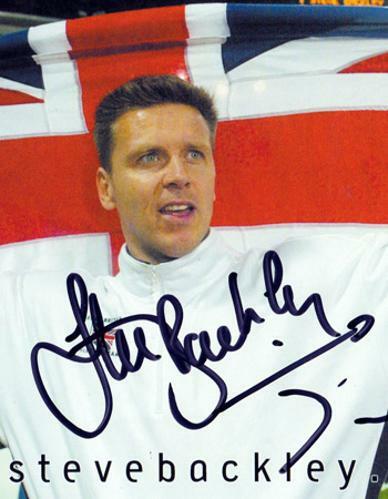 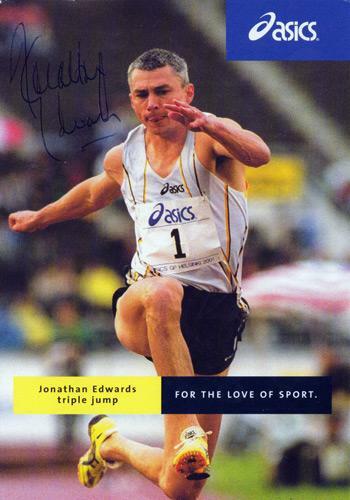 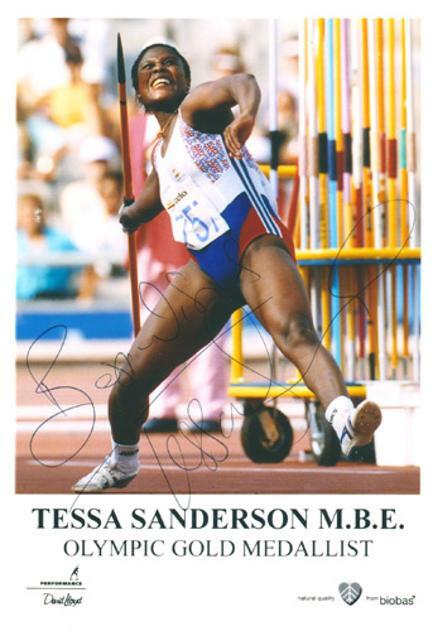 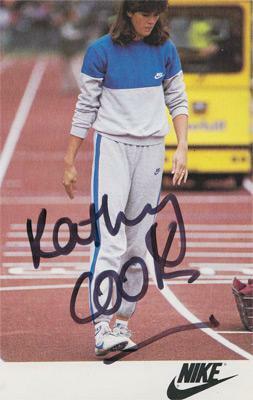 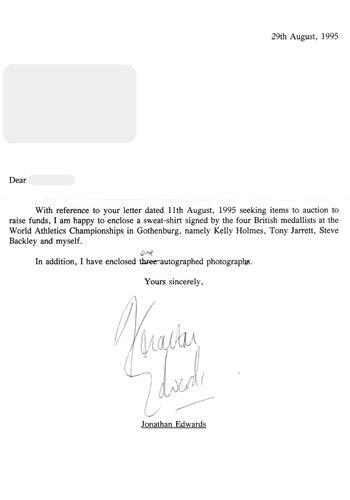 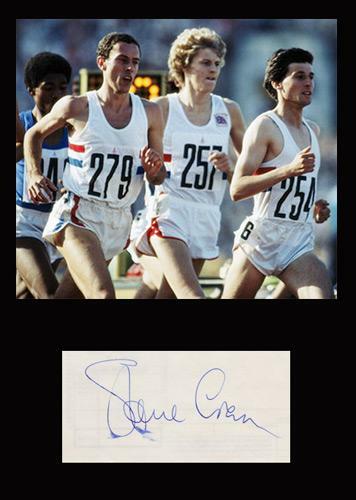 Signed England athletics colour pic. 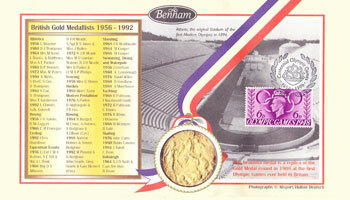 four-sided promo card / biography booklet. 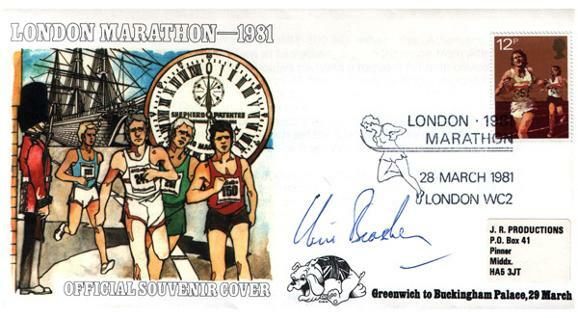 Signed Asics promo postcard & signed charity letter. 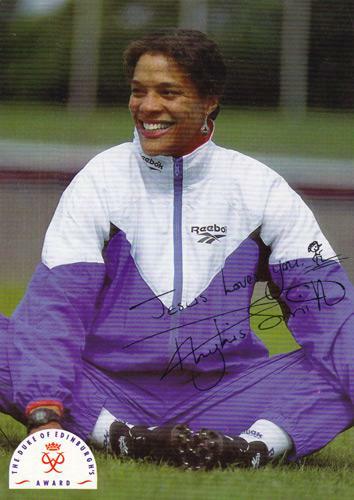 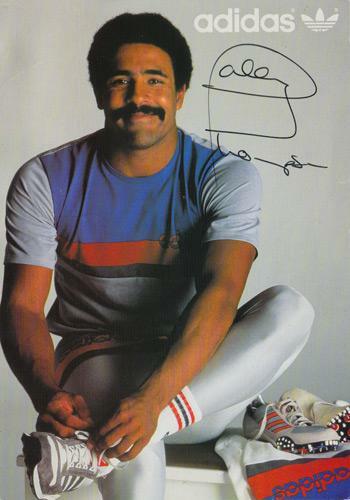 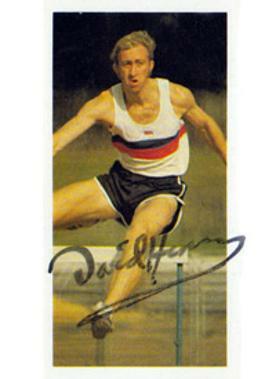 Signed David Lloyd Fitness Clubs promotional photo card depicting her throwing the javelin en route to winning the Olympic Gold Medal at the 1984 Los Angeles Olympic Games. 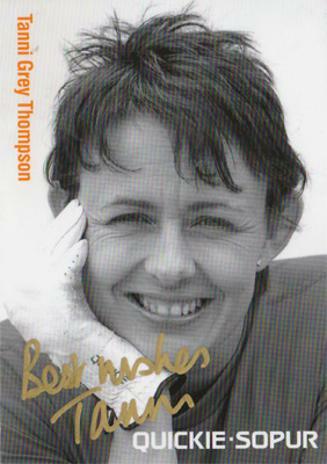 Signed autograph card & picture. 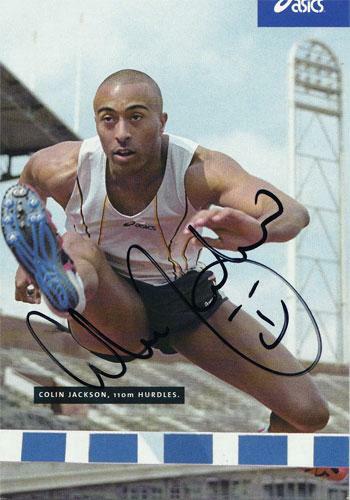 Signed GB 400 metres relay NIKE promo card. 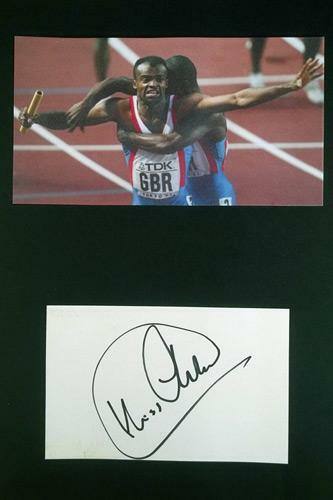 Autograph montage of the gold medal winning celebration in the 1991 World Championships 4 x 400m relay in Tokyo. 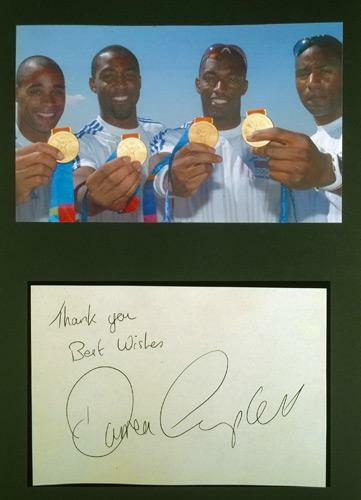 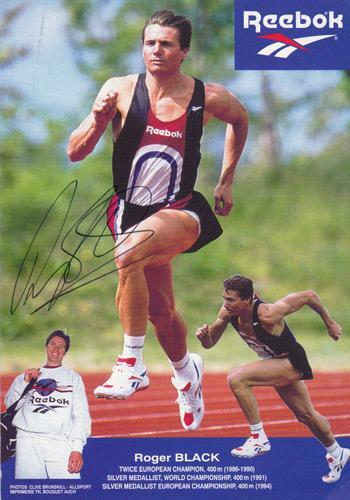 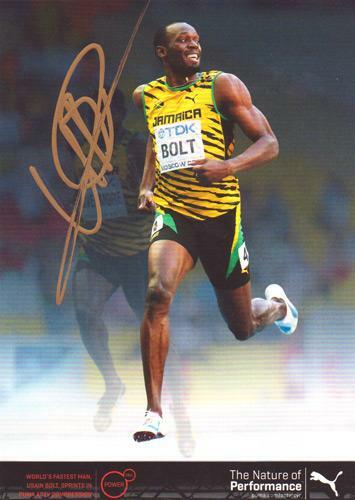 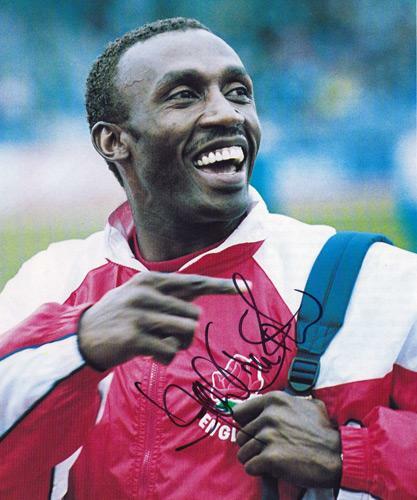 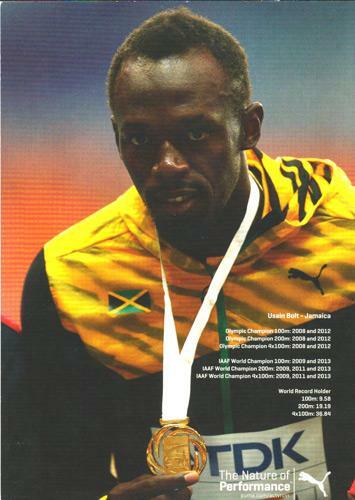 Autograph montage Sydney Olympic Games 4 x 100m relay gold medal chamnpions pics. 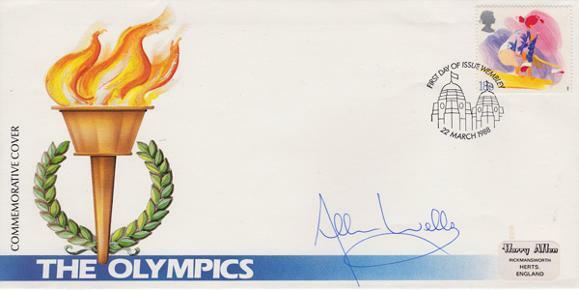 Duke of Edinburgh Award postcard. 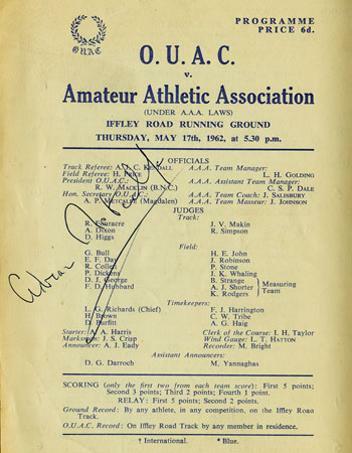 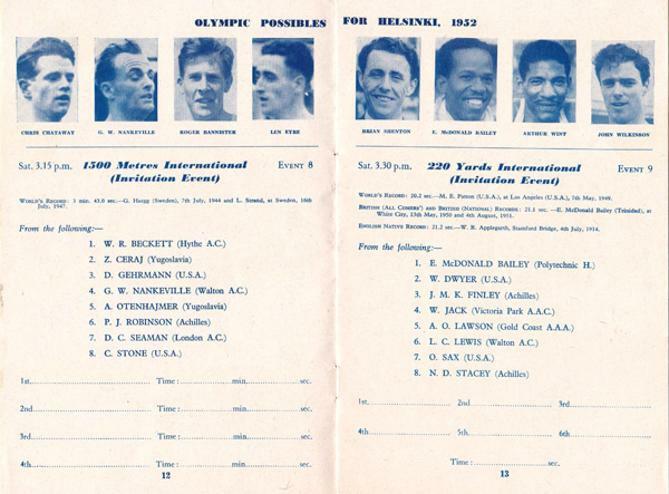 Signed 1962 Oxford University Athletics Club v AAA Athletics meeting race card Iffley Road, Oxford. 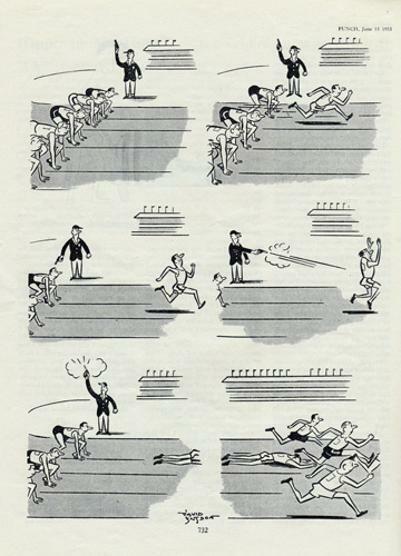 Metcalfe (also Hon Sec of the OUAC) won the 100 & 220 yards events. 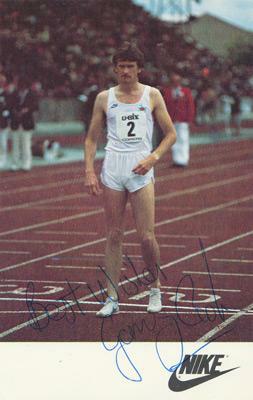 Fellow TV commentator Stuart Storey competed in the 120 yards hurdles. 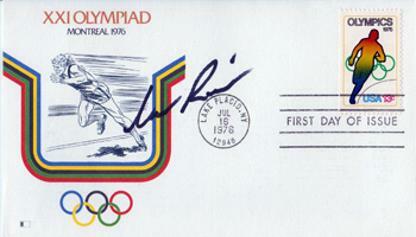 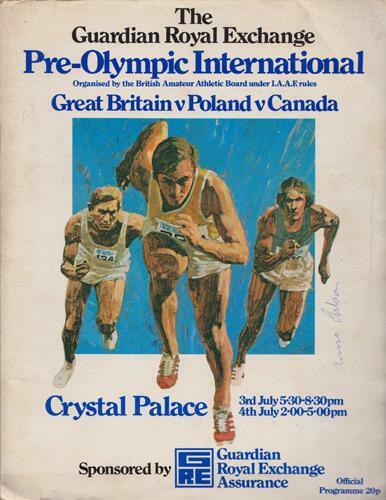 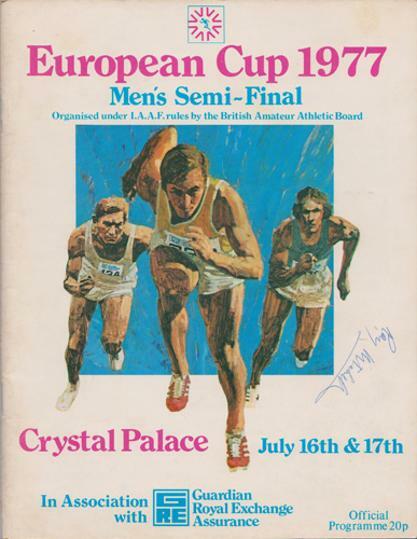 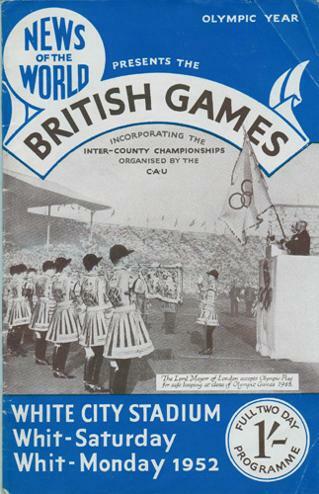 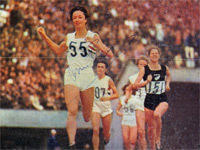 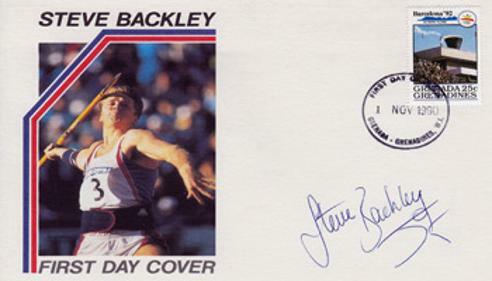 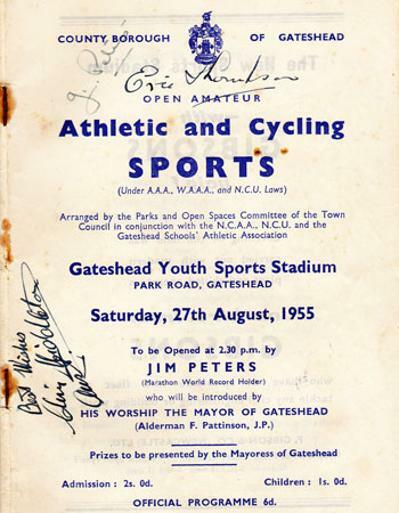 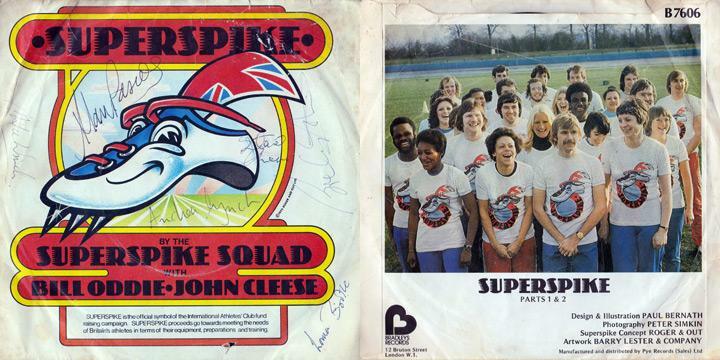 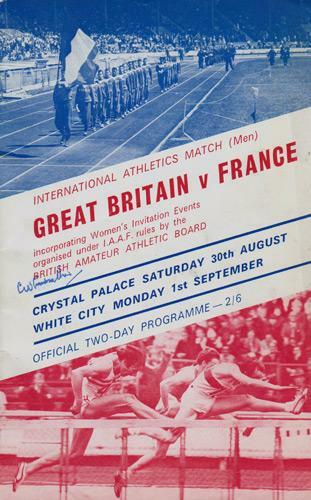 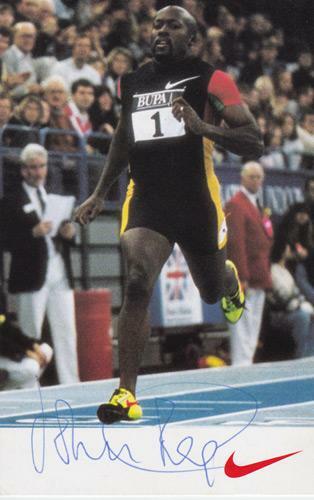 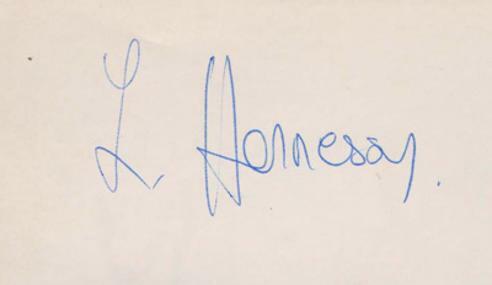 Signed on cover by Roy Mitchell (1976 Commonwealth long jump champion). 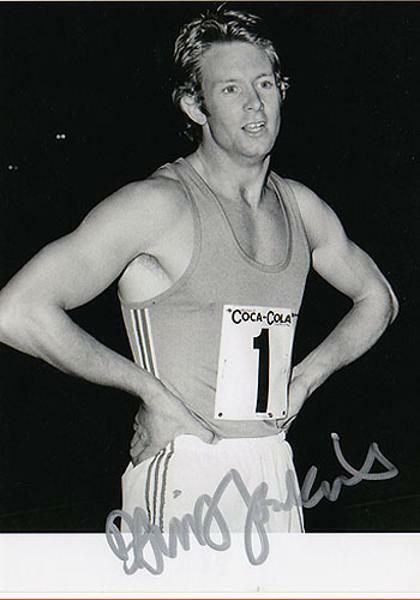 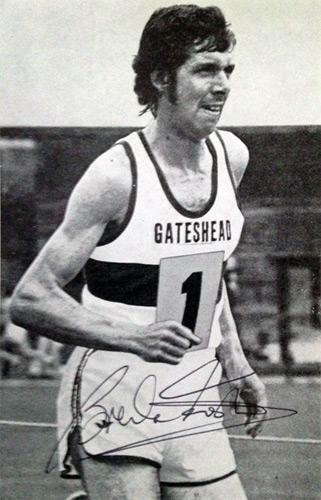 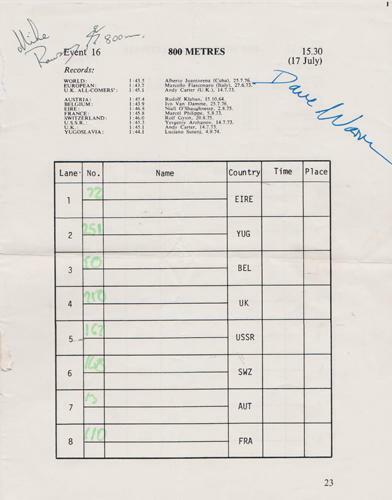 Signed on separate loose 800 metres page by David Warren (1977 & 1980 UK Athletics 800 metres champion & 1980 Moscow Olympics 800 metres finalist). 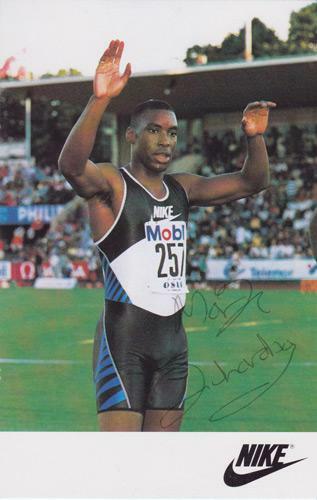 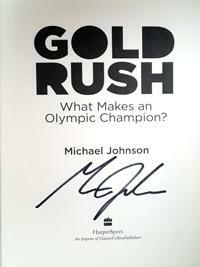 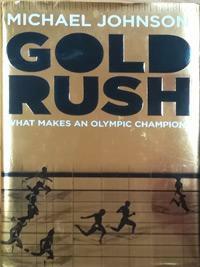 Also signed by Mike Ramsey (USA 800 metres runner). 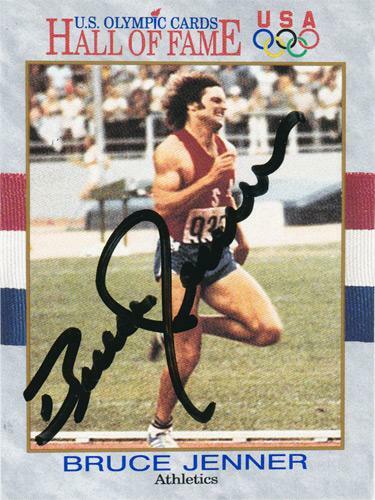 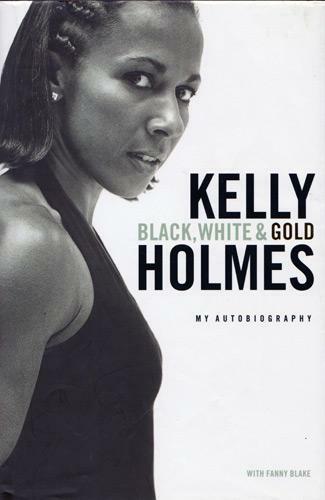 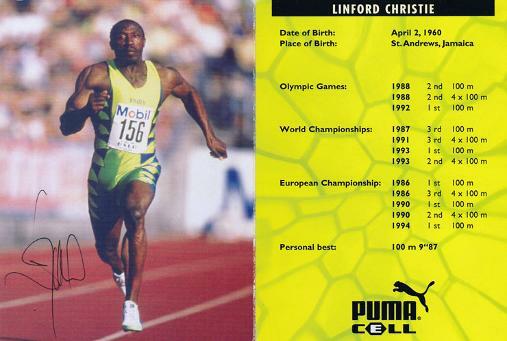 Rare / Signed athletics bio-pic card. 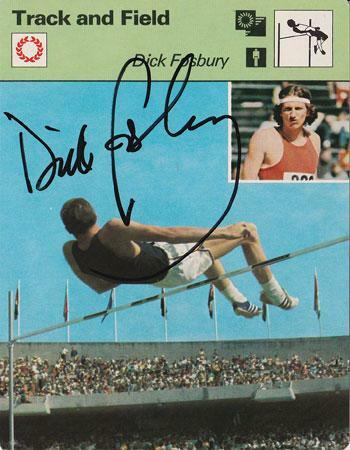 with his trademark "Fosbury Flop"
Welcome to Uniquely Sporting's sports shop / store page for authentic athletics memorabilia, running collectables & Olympic souvenirs - with a great collection of autographed & signed items: photos, prints, posters, artwork, cards, caps, shirts, clothing, books & First Day Covers ... from track & field to road-racing, from 100 metres to the marathon, from long jump to pole vault, from discus to javelin, from World Champion to Olympian, from Roger Bannister to Mo Farah, Seb Coe to Steve Ovett, Harold Abrahams to Usain Bolt, from Mexico 1968 to London 2012.